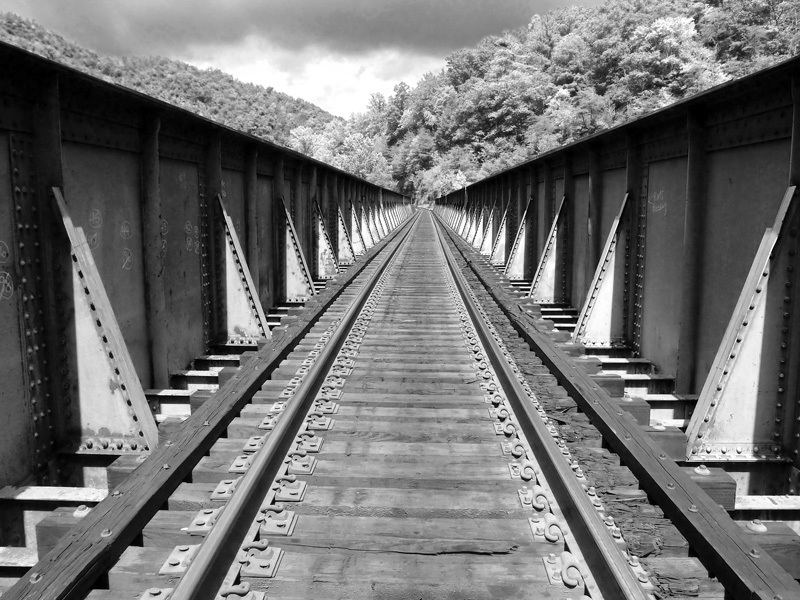 Active pony plate trestle over the Nolichucky River in Unicoi County. The decolorized photo has an infra-red effect added. Original image shot with an Olympus XZ-1, f2 at 1/500. ISO 400 equivalent. Why is it pronounced “tressle” instead of “trest-le”. Well, like “pestle”, “hustle”, “wrestle” and many others, it just is. Received pronunciation, apparently. Posted in Bob Lawrence Photography and tagged infra-red filter, Nolichucky River, Olympus XZ-1, pony plate trestle, train trestle, Unicoi County TN. Bookmark the permalink. One of your best, Bob!